Bauer is a well-known name in ice hockey equipment and makes quality items you can rely on like the Tuuk Lightspeed Edge that allows you to change your blade out in seconds. The company designs equipment for youth and adult players, as well as all levels of play from beginner to expert. Bauer owners and employees have a passion for hockey and know their equipment. This means you can buy with confidence, knowing your questions will be answered and everything you buy will be backed by the company. The staff also wants customers to be happy with their purchases and will do what they can to correct the situation or help you with an exchange or return if something doesn’t fit or wasn’t what you were expecting. There are Bauer authorized dealers all over the United States or you can make your purchase online. The company offers equipment for all players, including goalies, as well as in-game equipment. All of the products sold by Bauer meet very specific safety standards. Bauer has a wide range of ice hockey skates and below we’re taking a look at the Bauer Vapor X500 Ice Hockey Skates in this review. The Bauer Vapor X500 is available in a variety of sizes include a junior size. They feature the sleek black styling of other Bauer skates and are loved by hockey players because they are lightweight and durable. We love their comfortable design that features padding and molding not found on all skates. The Vapor X500 are functional and high-quality—and available for a reasonable price. They are great for beginners but perform well enough that intermediate and experienced skaters would also love them. The skates have a sleek silver and black design with red highlights. It’s a style most everyone would feel comfortable playing in. They have a tough look that mimics their durable design. Players love these skates because they are lightweight and comfortable, and parents of youth hockey players love them because they are a great value for the price. They stand up to rough play and have the ability to last through several seasons. 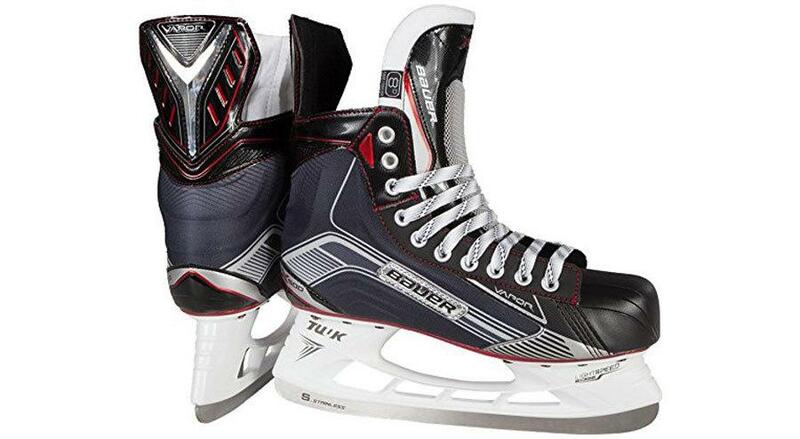 Those who invested in the Bauer Vapor X500 are happy with their skates. They love that the skates need very little breaking in and can fit most feet comfortably, even when feet aren’t “normal.” One reviewer with “duck feet” raved that his skates were lightweight, comfortable, and molded to his feet by the end of his first skate. Some users reported of being happier with the X500 than they were with other higher-end, expensive Bauer styles. There were many reports that compared expensive skates to the X500 after first-hand use of both types of skates and, in every case, the X500 ranked at least as good as the skates costing $$ or $$. Many buyers found these skates to be the more comfortable option over some of the most expensive ice hockey skates on the market. Most buyers did “bake” their skates to get them to fit better and some had to sharpen the blades before wearing. Some buyers are recommended to size up in length and width for the X500 model. One skater also reported some trial and error was needed for lacing the skates just right to get the most comfortable fit, but once he found the sweet spot he loved the skates. In general, those who purchased the Bauer Vapor X500 ice hockey skates were thrilled with the product, especially considering the price. Even if you’ve never purchased ice hockey skates before, we’ll give you tips and tricks for getting it right the first time. 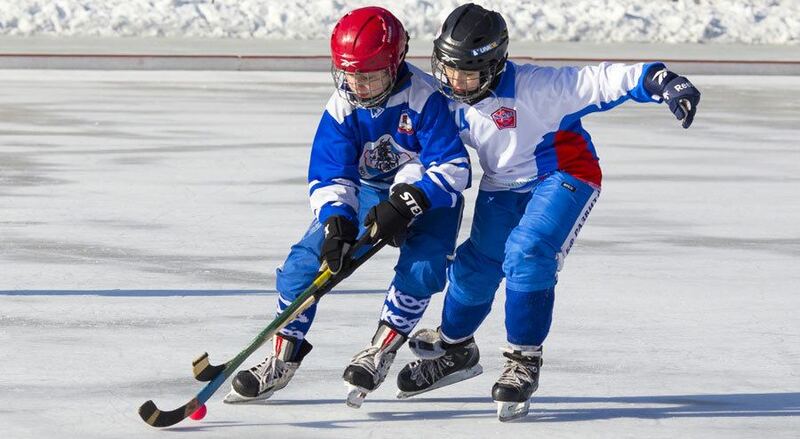 There are three important considerations when shopping for ice hockey skates: comfortable fit, quality and durability, and how much the skates cost. The right skates for you hit it big in each of these categories. Bauer Vapor X500 is one of the most comfortable and lightweight skates on the market. They are durable and high-quality and require a minimal amount of breaking in. The price is just right too. Though they aren’t “cheap” skates, they aren’t anywhere near the highest price point for ice hockey skates. You get quality and great value with these skates. Owners of the Bauer Vapor X500 recommend sizing up in both width and length when buying these skates. We recommend finding a retailer nearby if possible and trying on the skates before making your purchase (usually at a discount) online. This way you know you’re getting just the right size because you’ve had the skates on your feet before buying. The Vapor X500 will also probably need to be baked and sharpened before use. The Bauer Vapor X500 skates are available on Amazon and through other online retailers. The good news about buying from Amazon is that you can trust who you’re shopping with because they are an established retailer. Amazon also usually provides the best bargain. You’ll also have the opportunity to get detailed information about the skates before you buy and know whether or not returning the skates will be an issue if they don’t fit or they just don’t measure up to what you’re looking for. If you need any accessories to go with your new skates or you’re in the market for other hockey equipment, you’ll be able to find online at Amazon or any other online retailer that sells Bauer. Bauer Vapor X500 are great skates. They make experienced hockey players happy, but they are also a great option for new or intermediate players. These skates are durable, lightweight, and comfortable. As a matter of fact, the comfort-level is one of the main reasons we rate these skates so highly. Many buyers found they could wear these skates comfortable with very little breaking in. Based on performance and customer reviews for the Vapor X500, we consider them to be one of the best ice hockey skates available, in its price range and among all skates.